Apgar Associates has provided a wide range of engineering services to homeowners, developers, municipalities, and not-for-profit organizations for more than 40 years. All engineering services are supervised by Paul D. Fox, P.E., C.M.E, a licensed engineer and principal of the firm. James O. Madsen, P.E. has more than 35 years of experience in engineering design. Vincent Ruggiero, P.E. provides the firm with more than 30 years of experience and is our septic system expert. Apgar Associates plans and designs residential, commercial, and industrial land development projects, prepares environmental studies, performs soil investigations and testing, designs subsurface sewage disposal (Septic) systems, conducts dam inspections, and conducts studies for dam rehabilitation and spillway modification for a wide range of private and not-for-profit clients. We also reviews plans for land development projects on behalf of affected neighbors and environmental organizations, and provides expert testimony at public hearings and court proceedings. 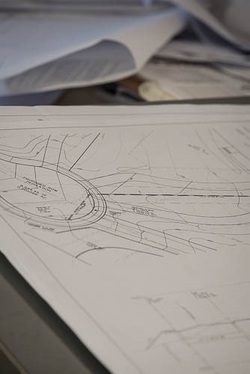 We have special expertise in hydrology and hydraulics, stormwater management, soil mechanics, dam design and rehabilitation, and hazardous waste site remediation. We have served on several regulatory technical committees and assisted the New Jersey Department of Environmental Protection for more than two years as it developed the current regulations for subsurface sewage disposal systems. We have been very active in recent years in state-of-the-art stormwater management to control non-point source pollution. We developed the first comprehensive Special Area Standards For Stormwater Management to be approved by the New Jersey Residential Site Improvement Board.